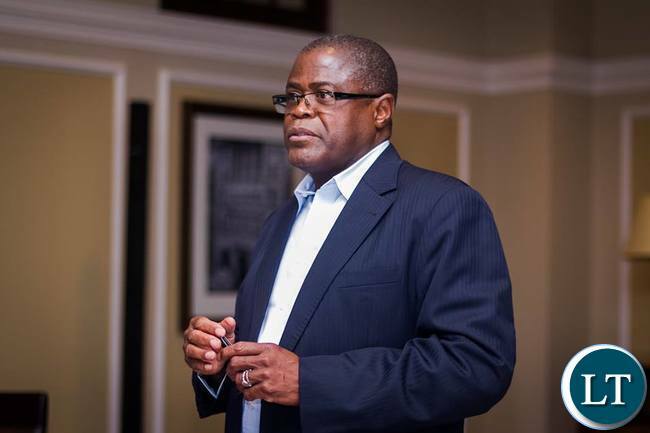 Government has disclosed that more British companies have shown willingness to invest in the oil industry in Zambia.Minister of Commerce, Trade and Industry, Christopher Yaluma said this in an interview with ZANIS at Copthorne Tara Hotel in London. Mr. Yaluma said following the launch of oil exploration project in Luapula and Northern Provinces by Tullow Oil, a British company, more foreign oil exploration firms are eager to invest in the energy sector.He observed that Zambia still has oil blocs which are not yet committed to potential investors and as such the country is ready to receive investment in the oil sector. Mr. Yaluma revealed that oil exploration by Tullow Oil has indicated positive results so far and government is hopeful that the outcome of the project will be a success.The Minister has since assured foreign investors that government is harmonising investment policies so as to protect their investment in Zambia. He said with consistent and predictable policies in place, Zambia will attract more foreign direct investment from potential investors. And Mr. Yaluma, who is in London for the Commonwealth summit, said Zambia will take advantage of the business forum to woo investors from the other commonwealth countries.The Minister said the Commonwealth business forum is vital to member states because it brings together business experts and players to share best practices of sustaining trade and investment in the Commonwealth countries. Mr. Yaluma said Zambia is therefore determined to grow the Small and Medium Entrepreneurs (SME’s) in order to boost economic development in the country.He also explained that government wants to see a vibrant SME sector as it is key to job creation and economic growth. Mr. Yaluma is part of Vice President Inonge Wina’s high profile delegation at this year’s Commonwealth summit which starts tomorrow April 16, 2018 in London, United Kingdom. Or the oil pipeline from Sudan! Government shoul be moving ahead of time. When is Petroleum Engineering going to be introduced at either UNZA or CBU? When we begin producing oil, we shall need our home grown technocrats to occupy strategic positions.